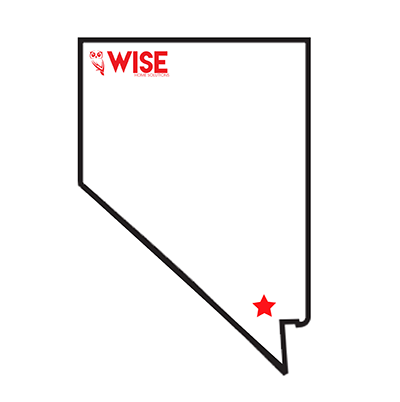 As we continue expanding throughout the west coast, WISE Home Solutions is thrilled to be currently serving the metropolitan Las Vegas area. With home security and smart home automation, we have everything you need to start protecting your home. Finding security systems Nevada has never been easier. Home security Nevada services include ability to upgrade anytime, excellent customer service, and 24/7 professional monitoring. With a wide variety of products and customizable plans, the perfect home security system is waiting for you. So, control your home with the touch of a button, and always have peace of mind. Unfortunately, crime is here to stay. With WISE Home Solutions, your home will be protected and prepared for anything. With our affordable plans, you can create the perfect home security system for you and your family. Whether you need a smart thermostat to combat sweltering summers or an indoor camera to check on the kids, we have you covered. We understand you have a busy life, and we want to make it easier for you. While we’re all about wireless home security Nevada, we also provide smart home automation that will make your house run smoother than ever. If you’re looking for a local company to help you take care of your home, WISE Home Solutions is here to give you peace of mind.